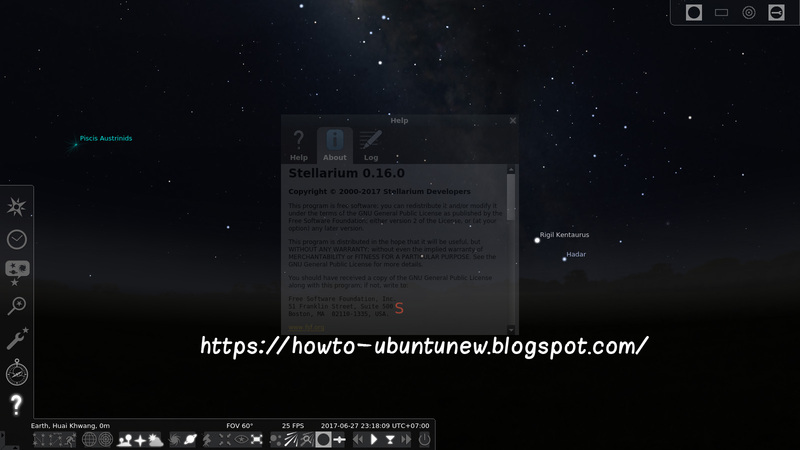 Stellarium 0.16.0 is a stable version (based on Qt5.6 but it can still be built from sources with Qt5.4) that introduces some new features and closes 38 bug and wishlist reports. Nonspherical models for solar system objects like asteroids and small moons. Added splitting ssystem.ini data now have separate ssystem_major.ini and ssystem_minor.ini. Only the latter shall be editable for the users. Added a few more timezone replacements. flag_forced_meteor_activity=(false|true) to show a sporadic meteors activity without atmosphere). Added support of date and time formatting settings from main app to AstroCalc tool. Added information on magnification of the combination of eyepiece/lens/telescope in proportions of the telescope diameters. Added more data for analysis to the Exoplanets plugin. Added a scripting function to retrieve property names (helpful for configuring RemoteSync). Added property handling for the labels for ArchaeoLines plugin. Fixed build scripts to update Index once more just before final run. Fixed Scripting Engine: avoiding broken script when calling waitFor() after the point in time to wait. Fixed infoMap data for comets. Fixed issue of reloading of DSO names when filter of catalogs is updated. Fixed small cosmetic bug for SIMBAD status line. Fixed very stupid bug for Date & Time dialog. Fixed translation onthefly issue for AstroCalc tool. Updated a GUI behaviour: a map in LocationDialog resizable is now. Updated a GUI behaviour: enabled low resolution for High DPI devices. Updated 'Go to home' feature. Removed useless vertex color data from asteroid models.